Fleetwood Town have found out who two of the teams they will face in this term’s Checkatrade Trophy. Fleetwood will face League Two sides Carlisle United and Morecambe but will have to wait to find out who will complete their group. 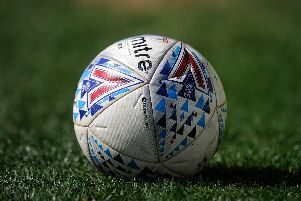 Eight Category One U21 sides are in the Northern half of the draw with one of either Everton, Leicester City, Manchester City, Middlesbrough, Newcastle United, Stoke City, Sunderland and West Bromwich Albion set to complete Town’s group. All 16 groups have been revealed ahead of the U21s draw on Wednesday July 12 and the group stage fixtures will also be confirmed on that date.